Like many countries, the U.S. has recently grappled with the issue of how to deal with marijuana usage: Should it be legalized or merely decriminalized? What about the use of medical marijuana? What are the human costs if possession is a felony? And what are the costs if it’s readily available? The following excerpts provide some touching, thought-provoking, and funny perspectives on the issue. David Miller, Jr. was in Vietnam from 1967-1968 working on Simulmatics (Business) with the Advanced Research Projects Agency (ARPA); he was interviewed by Charles Stuart Kennedy beginning in January 2003. Tom Killeen worked in the consular section in Tel Aviv in the early 1970s; he was interviewed by Charles Stuart Kennedy beginning in August 1992. David Fisher, who later served as Ambassador to the Seychelles, was a Political/Economic Officer in Nepal and was interviewed by Charles Stuart Kennedy and Robert S. Pastorino beginning in March 1998. Leslie Alexander was the Narcotics Program Officer for Mexico and was interviewed by Charles Stuart Kennedy beginning in October 2005. Tom Boyatt was Ambassador to Colombia from 1980-1983; he was interviewed by Charles Stuart Kennedy beginning in March 1990. Beauveau Nalle was Consul General in Belize and was interviewed by Thomas Dunnigan beginning in April 1994. Q: In your group of intellectuals under military control, what was the spirit? MILLER: Like M*A*S*H, the TV series in which the characters survived by developing a whole range of rather outlandish “defense mechanisms.” You developed a bizarre sense of humor to deal with this. We drank. One of our guys got on his motorcycle to Cambodia, returning with what he assured us was the best marijuana in all of Southeast Asia. For those who used marijuana this was truly a great accomplishment. 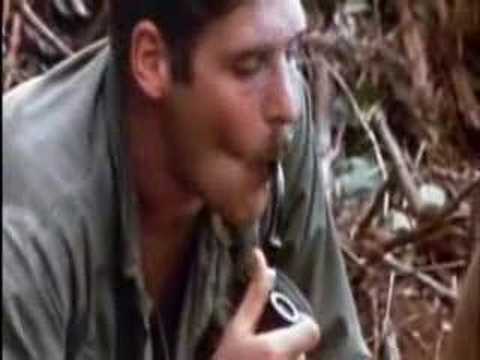 When you got assignments from Washington like “We need an analytic model to validate the body count,” reporting, that took a couple weeks worth of drinking beer late into the evening to say “If you saw 50 left feet in a rice paddy at 4:00 PM in an engagement in which we had expended 1,000 rounds, how many bodies would there be in the rice paddy?” The answer is, nobody had a clue. One way to validate the body count would be to send out Lance Corporal Jones at dusk to try to do an accurate body count. The problem is that Jones would usually get killed. So, it was better to dummy the system than to lose Lance Corporal Jones. That we knew…. It left me convinced we were going to lose and it left me with a set of objectives for my life in terms of trying to not let things like that happen again. KILLEEN: There were substantial numbers of tourists and there were young tourists. The Israelis in those days were, and I suspect still are, very worried about dope. They were most specifically worried, it sort of diminished them I always thought, that their success in battle, some of which they attributed to the fact that their Arab opponents were always stoned out of their mind, would be undermined if the drug habit found its way among their own troops. They were tough on dope. Some of the Americans that came to Israeli were interested in dope. There was some hashish available, even some heroin, not too much but there was some. The Israelis had tough laws. If I remember correctly, one of the laws was that any person within thirty feet, in any event it was space denominated in feet or meters, was deemed equally in possession of the dope. So that quite literally you could be standing on a street corner, or any place on the street, and if some guy ten paces away with whom you had no connection whatsoever was in possession of marijuana or hashish, you could be charged with possession. But there were some Americans that got in trouble. 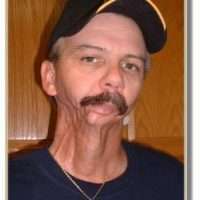 There was one kid who, at least he said and I suspect he showed me some evidence because I know I believed him at the time, had lost half his jaw. He said he had been in the Marines and had it shot off, just barely ticked with a .50 caliber bullet. When he went before an Israeli judge on a possession of hashish/marijuana charge, he had explained to the judge that that was the mitigating circumstance, that this whole Vietnam business had been so excruciating for him and that dope relieved him of his travails. And the judge, with tears, set him free. FISHER: We only had one major problem with the King. Nepal in those days was the world’s largest supplier of hashish oil. When you went into western Nepal, as I did once, you could stand on a hill, and as far as the eye could see, for tens of miles, nothing but the most magnificent stands of the world’s tallest marijuana plants. This was a medicinal product. The Indians had always purchased marijuana and hashish oil from Nepal. Well, suddenly the Nepalese discovered this was worth a lot of money; so there was a lot of smuggling going on to the United States. We had put enormous pressure in 1974 and 1975 on the Nepalese to pass laws making hashish and marijuana illegal. Of course, prior to that, Nepal had been a mecca, a magnet for every hippie from around the world. There was a very famous restaurant in Kathmandu called the Hash House, where every dish had been made from hashish oil. 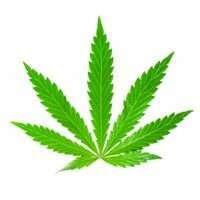 Marijuana was available on the street for virtually nothing. People were giving it away. So we put a lot of pressure on the Nepalese to make marijuana and hashish illegal. There was a law on the books, it was passed in 1974, with our pressure, but it was never enforced. Partly it was never enforced because the King’s brother who was a royal prince, had control of the hashish trade. We knew that it was being smuggled into Washington in the diplomatic pouch by the Nepalese ambassador. 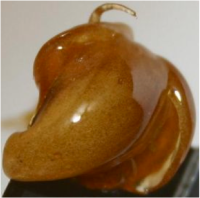 Hashish oil itself is a highly concentrated form of marijuana and although marijuana was cheap in those days in the United States, hashish oil sold perhaps for as much as a thousand dollars an ounce. It was a commodity of some value. We knew it was being smuggled in the diplomatic pouch into the Nepalese Embassy in Washington. We managed to have a pouch drop on the tarmac at Dulles airport, where the bottles of hashish oil cracked open. And that became a little dicey because we had clear evidence that it was the King’s brother who had been sending this via diplomatic pouch. 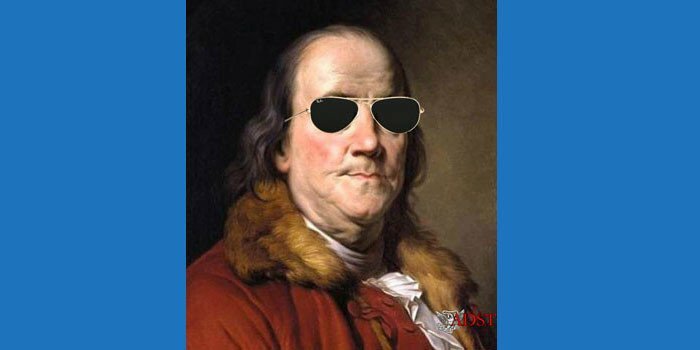 Q: Were there circumstances when diplomats had to use it to be diplomatic? FISCHER: No. 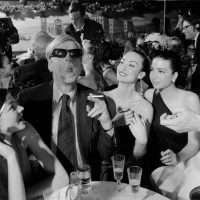 There were a lot of guys at a lot of cocktail parties who were stoned out of their minds. I never used it except one time. We brought a U.S. Customs team to Kathmandu in an effort to convince the Nepalese they should control trafficking. They simply couldn’t imagine how widespread the stuff was. There were people on the side of the road in these little villages who were giving the stuff away. It was a commodity, dirt cheap. I had never used drugs. I remember one night the guys from Customs came to my house. I said, I gotta try this stuff; I don’t know what it’s like. So I took a small vial. It’s a thick gummy substance, it looks like tar and I dipped a toothpick into it, and I smeared it down the seam of a cigarette. My wife was upstairs bathing our children in those days, and I smoked this cigarette. It was the equivalent of going from one scotch and soda to about three fifths in about five seconds. My heart began to beat. I know a lot about drugs because I’d been involved in customs side of the issue, and I remembered that it takes four hours for the body to metabolize hashish or marijuana. If you can hold out for four hours, you’re ok.
She looked at me and said, “You idiot! Why did you take this stuff?” I remember walking out in the backyard, and I walked in a circle for four hours. This was my first and last experience using drugs. ALEXANDER: I was the program officer for Mexico. That was by far the largest overseas drug program we had. We were funding the program to the tune of some $80 million, which, in 1978, was a staggering amount of money. We were essentially trying to eradicate the poppy fields and, to a lesser extent, the marijuana fields. It was the marijuana eradication that got most of the attention because we were using an herbicide called paraquat that started the paraquat scare across college campuses in the U.S. and became quite the issue of the day. I don’t think there was a week that went by that there wasn’t a story in The Washington Post or The New York Times suggesting that the youth of America were being poisoned by paraquat on their marijuana. We were sued by a group called NORML which was the National Organization for the Reform of Marijuana Laws. I was interviewed by everybody from Rolling Stone magazine to the Wall Street Journal and The New York Times. It was rather amusing in a way. Our principle project was eradicating the poppy fields. We, the State Department, got involved in something which we had never done before. We essentially built an air force comprised of helicopters and fixed wing aircraft. We pioneered new aerial spraying techniques. We paid the Agriculture Department to do experiments with different types of herbicides. We were looking to have minimal environmental impacts, minimal health impacts. We were paying certain agencies to develop programs that we could use to spot cultivation of drug crops from the air, and a lot of this stuff was brand new. The technology didn’t exist and I find it interesting to look at what we do today in Colombia and realize that hey, you know, you’re responsible for the program that’s in place there, you and your colleagues pioneered this stuff and it’s been refined over the years but the basic program was started back then…. There were so few of us, and this was so new, that despite my being at the time an old FS-05, which today would be an FS-03 [mid-level officer]. I was pretty doggone junior, especially so when you consider that, I mean, Secretary [Cyrus] Vance called me down to his office and the two of us sat there and I ran through what I was doing, what my program was doing, with the secretary of state. And anyone who knows the State Department knows that FS-03s, in today’s grading system don’t sit down with the Secretary of State one-on-one for more than five seconds. To sit there for a half an hour or an hour, just you and the Secretary was, I think, well, it was a reflection of just how small the office was, but also how concerned he was….I got back a nice little note from President Carter saying keep up the good work…. Q: What was the Mexican response to what we were trying to do? ALEXANDER: I felt that the response was astoundingly positive. The degree of cooperation with the Mexicans, when I compare it to the relationship between the two countries today, was absolutely first class. The Mexicans took this issue as seriously as we did. They threw resources at it. Yes, there was corruption on their side but they tried to assign elite units to the problem to go out and actually eradicate the poppy fields manually where we couldn’t do it with the helicopters, and round up the traffickers…. We were flying over a poppy field, I think it was in Sinaloa Province…A couple of guys popped up out of nowhere as we were hovering over one of these fields and started unloading their weapons, discharging their weapons, firing at us. They put some rounds into the helicopter and we had to come down with a hard landing. 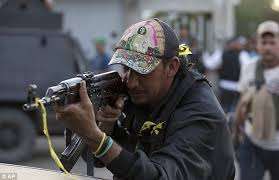 There was a nasty little firefight that ensued, during which two or three people were killed. Anyway, for the Mexicans it was dangerous work. They did get killed, but I think they were as committed to it as we were. What happened over the years; the mutual recriminations and things, may have contributed in large part to where we are now. I’m not saying that the Mexicans don’t cooperate, but the trafficking part doesn’t seem to have improved. The production side has. Q: What was the situation in Colombia while you were there? BOYATT: It was a case in which the entire policy focus of the U.S. government was shifting from the usual concerns to the drug problem, and that wound up being our primary goal to disrupt the flow–first of marijuana, and subsequently of cocaine, from Colombia to the United States. Well, we had training programs. We brought in a batch of helicopters that we gave to the Colombian army for use in counter-narcotics activity. In those days we were fighting to get the Colombians to spray the marijuana crops with paraquat. One of the problems was, of course, we couldn’t use it in our own country because the EPA wouldn’t let us. So we had the delightful proposition of trying to convince the Colombian government to do something that our own government wouldn’t do. It made it very difficult. In the end they did agree to spraying, and in the end we pretty much took out the marijuana production in Colombia, but while we were doing that, unbeknownst to us, Colombia was very rapidly becoming a major transshipment point for cocaine. By the time I left, while one could have legitimately declared, if not an end to the war, at least several victorious battles in the marijuana war, we had almost no victories in the cocaine war. NALLE: A plane landed at Belize International airport. It requested emergency landing, engine problems. Here’s one of these good old Southern boys. Superb pilots, unbelievable pilots, they’re so good. He was sitting there behind the wheel, a mechanic was working on his engine. The mechanic, I knew him, a U.S. citizen who was a drug smuggler himself but we never did catch him. 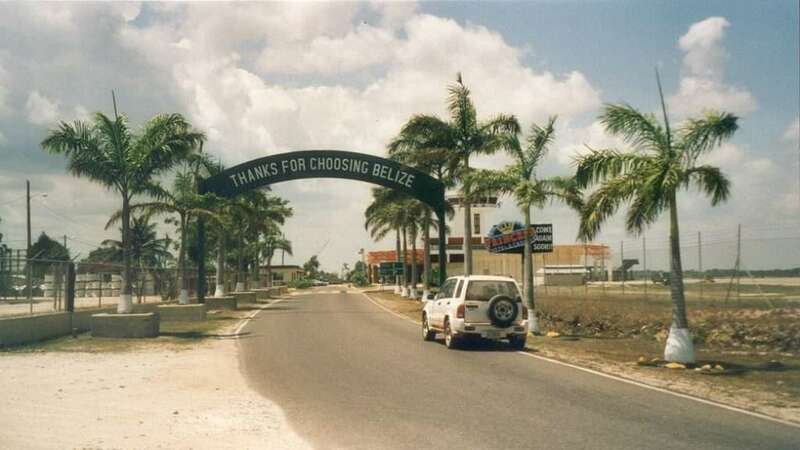 I think the only honest policeman in the country of Belize was on duty at the airport at the time. He came out and looked over the airplane. And back in the after section of the aircraft, were a whole lot of garbage bags very neatly wrapped up and tied with tape. And the policeman turned and said, “Hey man, what’s that? Give me one man.” And the pilot went back and got one for him. The guy opened it up, it was very neatly baled marijuana. He stayed 2 days in jail. Our consular officer, Bernie Gross, was down in the jail talking to him. He got up and walked out of the jail.